The NBA G League announced two Northern Arizona Suns games will be broadcast on ESPNU this upcoming season. Up to 21 games will be televised on ESPNU across the NBA G League over the course of 2017-18, including 12 regular season games, the playoffs and the Finals. 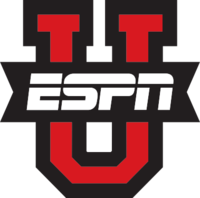 The Northern Arizona Suns will be featured on ESPNU and the ESPN App on Thursday, Nov. 30, at 5 p.m. when they take on the Swarm in Greensboro. They will also be a part of ESPN’s coverage of the NBA G League Showcase in Mississauga, Ontario, Canada, when they face the Canton Charge on Friday, Jan. 12, at 10 a.m. The Suns played two games on ESPNU last year, as well. 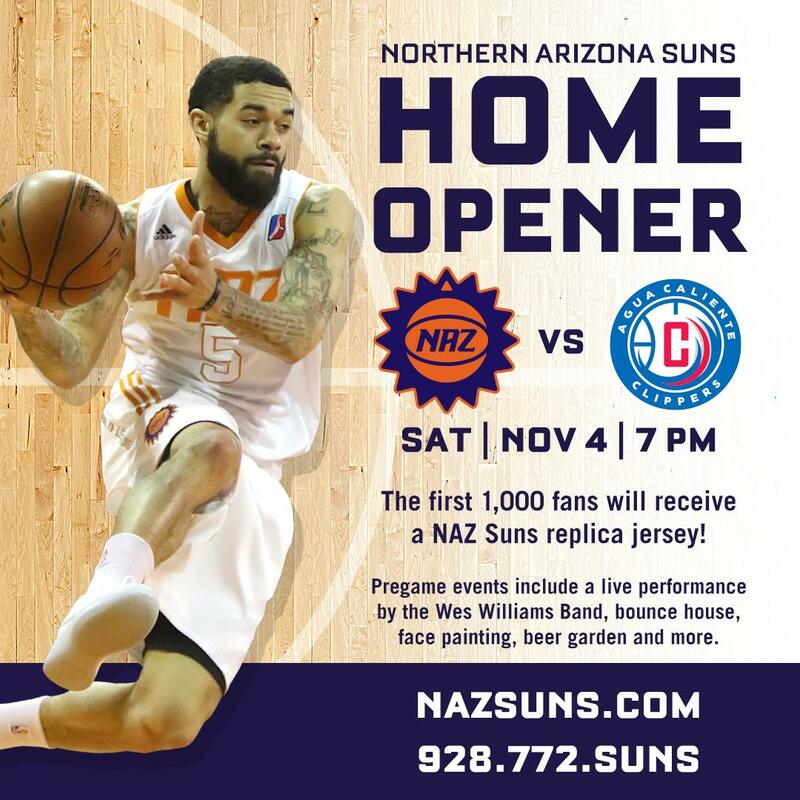 All 48 other NAZ Suns games this season will be broadcast on Facebook Live. Longtime voice of Arizona sports, Jon Bloom returns for his second season as the Northern Arizona Suns play-by-play broadcaster. Bloom quickly gained respect across the league with the NAZ Suns in their inaugural season, where he enlightened viewers about the intricacies of the game and provided even greater entertainment for fans. His voice was commonly heard nationwide in 2016-17, as his calls of Derrick Jones Jr.’s thunderous dunks circulated in anticipation of the NBA’s 2017 Verizon Slam Dunk. Bloom is continuing his role with the Phoenix Suns, where he is in his 11th year as the team’s radio host and alternate radio play-by-play announcer. He is also frequently heard as a sports talk radio host on 98.7 FM Arizona’s Sports Station.